1. Federal Law allows judgment creditors to seize up to 25% of a debtor’s wages for most consumer debts. However, the law also allows states to limit seizures to a smaller percentage. 2. The majority of states (42) follow the federal law or have very limited protection against garnishment of worker’s paycheck. 3. Two states protect up to 90% of wages from seizure. 4. Four states – like North Carolina – ban garnishment as a remedy for most debts. 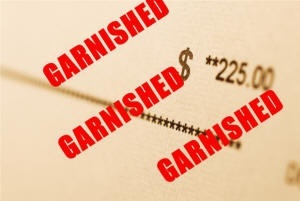 North Carolina will enforce other state’s garnishment orders if properly domesticated. Senate Bill 632 creates a right of garnishment for all “disposable earnings” as “that amount owed to the judgment debtor by his or her employer less any amounts deducted by the employer for federal and State income taxes, the judgment debtor’s share of State unemployment insurance, and for social security. ” (N.C. Senate Bill proposed Section 1C-1501(b)). The Bill also sets a cap of maximum amounts from each weekly paycheck to be seized as the lesser of either the federal amount (25%) or the amount by which the judgment debtor’s disposable earnings exceed 30 times the federal minimum wage – currently $7.25/hour. Thus if a debtor works 40 hours a week at minimum wage the maximum amount that a creditor can recover would be lessor $8,700 or 25% of disposable earnings per weekly net pay. 4. The employer may deduct fee of $10 per wage check and has 15 days to comply with the writ. 4. Affirmative duty on creditor to file notice of satisfaction and penalties for improper garnishment. Beyond bringing North Carolina into the company of the majority of states and other jurisdictions that allow for reasonable recovery of disposable earnings, this Bill also builds in significant due process for debtors and employers. Will it be put before the full legislature and signed by our Governor? In this author’s view, perhaps politics is the true decision maker, but on balance this proposed law is reasonable for creditors and debtors and employers. In addition, it prevents judgment debtors from ducking execution and recovery subject to other state, federal and bankruptcy laws. The procedural constraints and guidelines are clear and give a good road map for how to deal with these situations. Clarity is important. What the NC State Government decides to do may be a whole other story.